Melania Trump is trying to impress the three most influential ladies of the British royalty - Queen Elizabeth II, Kate Middleton and Meghan Markle - with an impeccable style statement. Will the fashion diplomacy work in the FLOTUS' favour? Watch out Meghan Markle and Kate Middleton, it looks like the US First Lady Melania Trump has come with the motto "all eyes on me!" 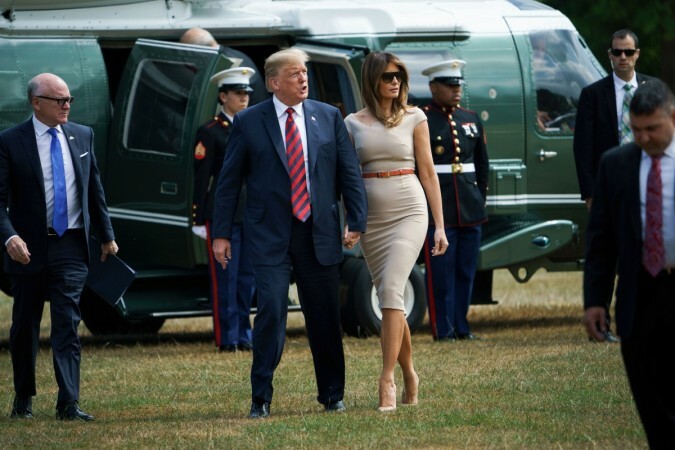 The Trump wife made a stunning appearance when she touched down in Great Britain for a four-day visit with the US President. The FLOTUS, who will be escorted by Theresa May's husband Philip during her trip, is set to meet Queen Elizabeth II and we have a feeling the Queen is going to be impressed. For her first appearance of the trip, Melania channeled the Duchess of Sussex's style to wear a cocktail dress from Roland Mouret, with a little red belt. Is she trying to impress the former US actress? Maybe, maybe not! However, her choice of outfit is interesting considering Meghan wore a similar dress from the same label earlier this week during her two-day trip to Ireland. While we love Meghan's style, we think Melania rocked the Roland Mouret better than Prince Harry's wife. Melania did not limit her fashion diplomacy to Meghan. She took on Kate Middleton as well when she stepped out for dinner with the UK prime minister. 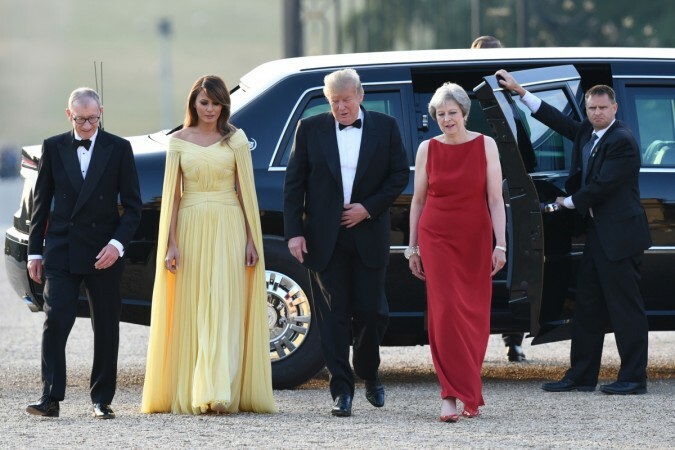 The FLOTUS stepped out in a gorgeous yellow gown at the Blenheim Palace on Thursday. 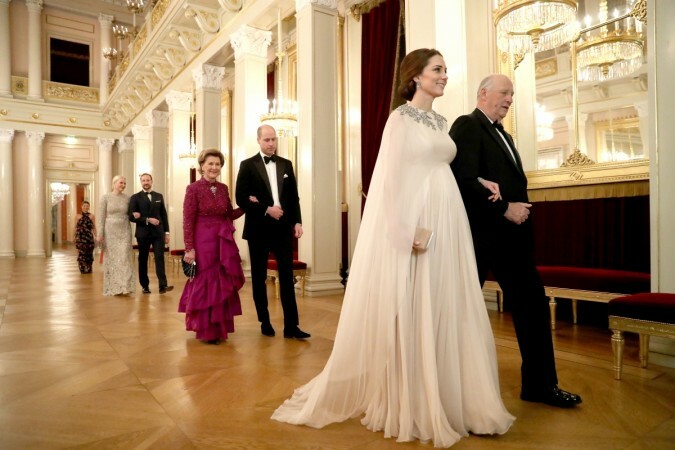 This brought to mind the Duchess of Cambridge's caped-gown she wore in February this year at a dinner during her Norway-Sweden royal tour. Melania not only tried to strike a chord with Kate through the gown, she appears to have also tried to grab the Queen's attention with the choice of the gown's colour. Many royal fans know that yellow is Queen's favourite colour.The First Lady's stylist Herve Pierre told the LA Times that the custom-made yellow J. Mendel gown was made bearing Queen's favorite color in mind. The FLOTUS will head to Windsor Castle on July 13 to meet Her Royal Highness for tea.